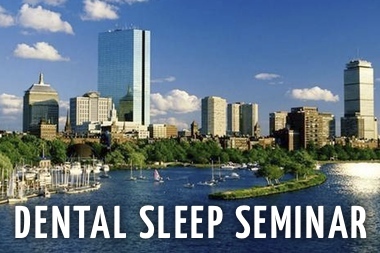 Dental sleep medicine success requires a complete approach that includes whole office education and detailed training, diagnostic instrumentation, clinical documentation, physician networking, medical billing and ongoing support. 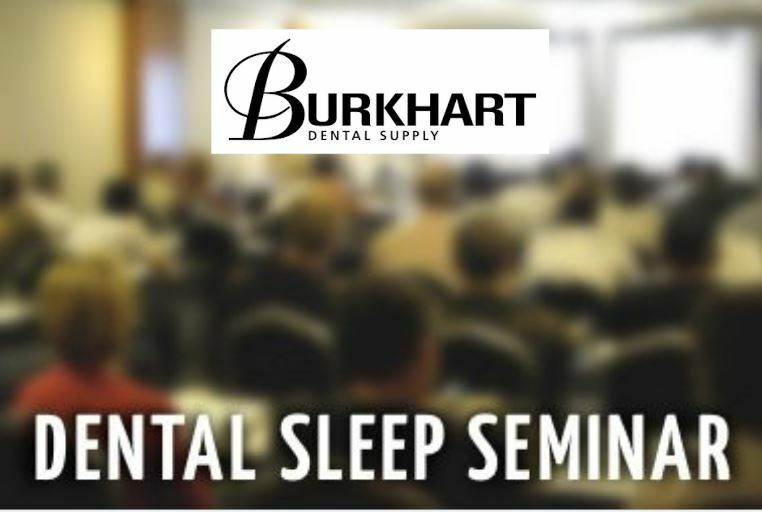 Welcome to the SGS dental sleep medicine program – the only one stop dental sleep medicine solution for practices looking to start or grow their dental sleep business. 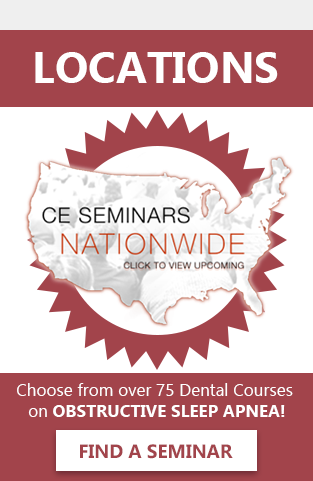 This program provides you with everything you need! 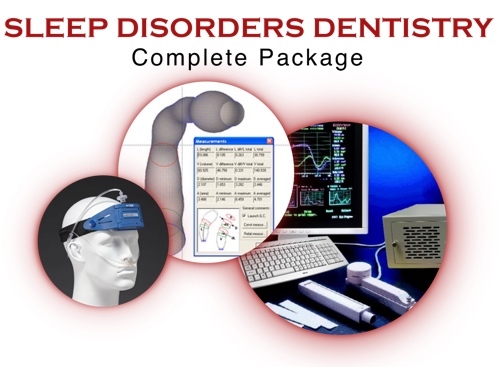 Our sleep disorders dentistry package comes with all the tools and features you need. 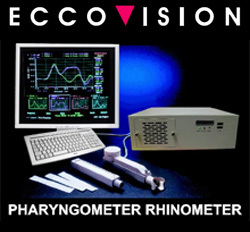 The Eccovision – Pharyngometer / Rhinometer system is a staple in many sleep disorders dentistry offices. The Eccovision enables the user to immediately see the changes that mandibular repositioning causes in the airway which is a priceless aide for appliance selection and titration. To compliment the Eccovision system, we are including 2 Watermark ARES sleep study devices. 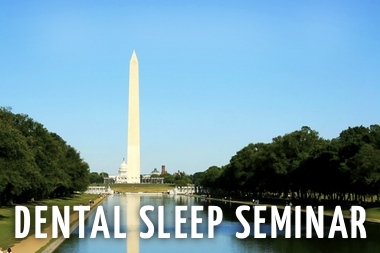 A sleep-wearable wireless physiological recorder worn on the forehead that acquires and stores up to 3 nights of nocturnal data. ARES™ measures blood oxygen saturation (SpO2) and pulse rate (reflectance pulse oximetry), airflow (by nasal cannula connected to a pressure transducer), snoring levels (calibrated acoustic microphone), head movement and head position (accelerometers). When worn in the home, the ARES™ provides a better profile of the patient’s breathing during sleep in his/her normal environment. Audio and visual indicators notify the user when the ARES™ requires adjustment, thus increasing reliability of the device in the home. The small size of ARES™ allows it to be comfortably worn in all sleep position. 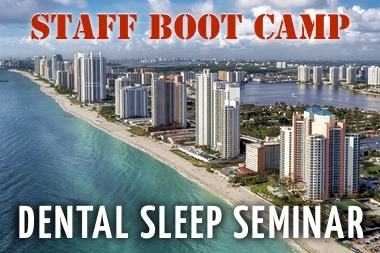 In addition to the equipment, a highly qualified SGS trainer will schedule a full day in-office training for doctors and staff. 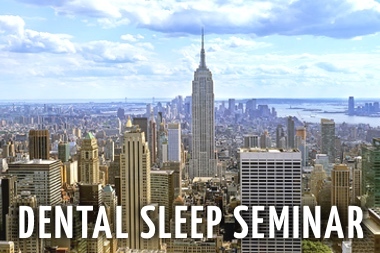 Our training program has been modified from years of experience and is very well received in offices. 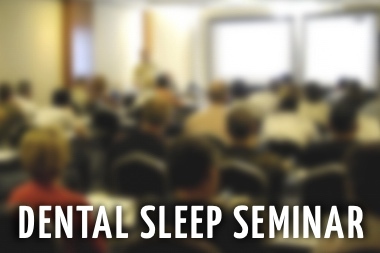 The training usually consists of 2-3 hours of lecture for the entire staff, everyone’s role will be discussed and the treatment protocol will be reviewed in detail. The remainder of the training is hands-on work with the equipment. Included in our training in a copy of our industry best protocol manual which contains detailed guides, forms, letters and procedures. SGS equipment packages have been put together to save you time and money. One purchase, one payment, one stop for all your needs. 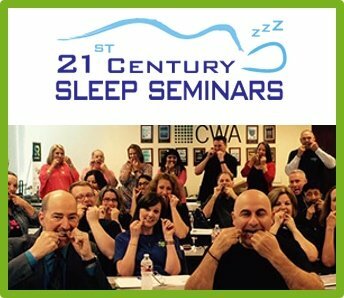 If you are ready to begin treating snoring and obstructive sleep apnea in your practice, this is the place to be. SGS offers excellent incentives and package discounts on equipment. We have equipment packages to fit everyones needs and budget.